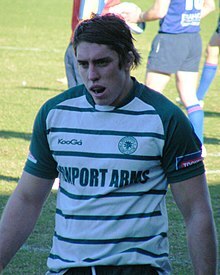 Deane Alfie Michael Smalley (born 7 September 1988) is an English professional footballer who plays for Plymouth Argyle, as a striker. Alfred Clarke (28 August 1926 – 17 July 1971) was an English association football player and manager. He played as an inside forward for a number of Football League clubs during the 1940s and 1950s.